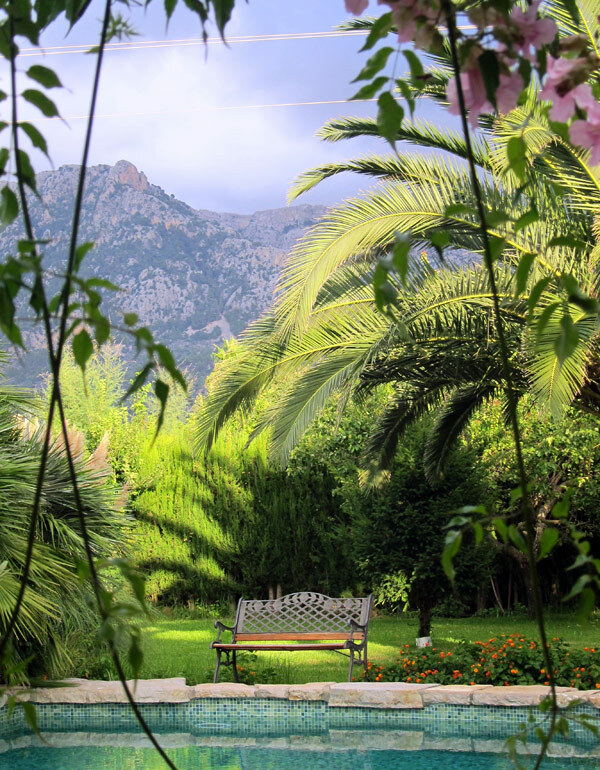 Can Buscat is located close enough to the old town to make a car an option but without comprising guests’ privacy due to the expansive grounds filled with fruit trees and local flora. 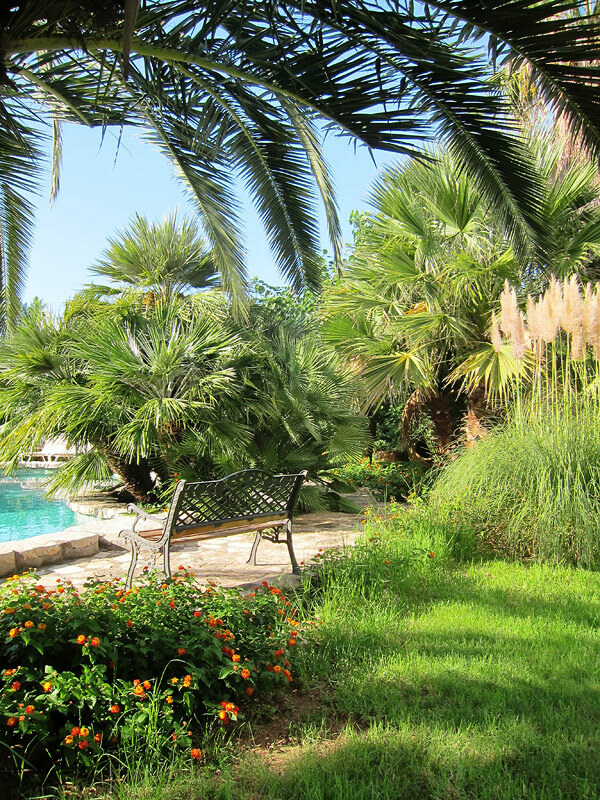 The beautiful 3-storey finca is located inmidst a huge Mediterranean garden with beautiful plants, palm trees, terraces and a large feature shaped swimming pool (12x5 m). The garage is almost a house in itself with room for 2 cars, washing machine, storage and a separate shower/WC. 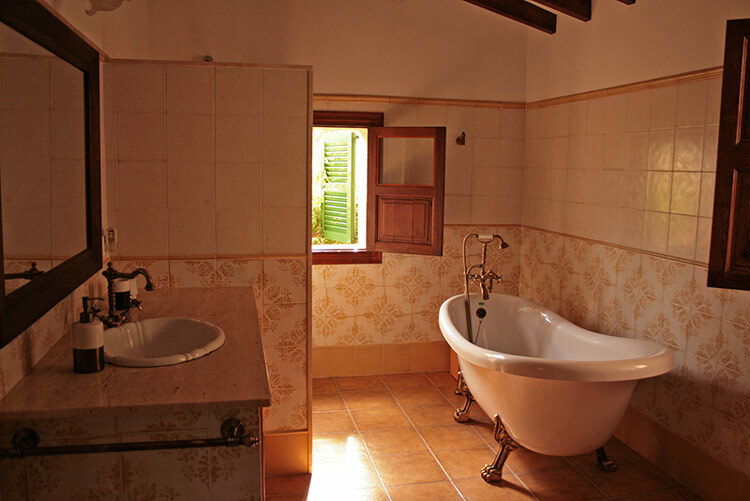 All the rooms are spacious and furnished nicely with traditional antiques adding a local touch. 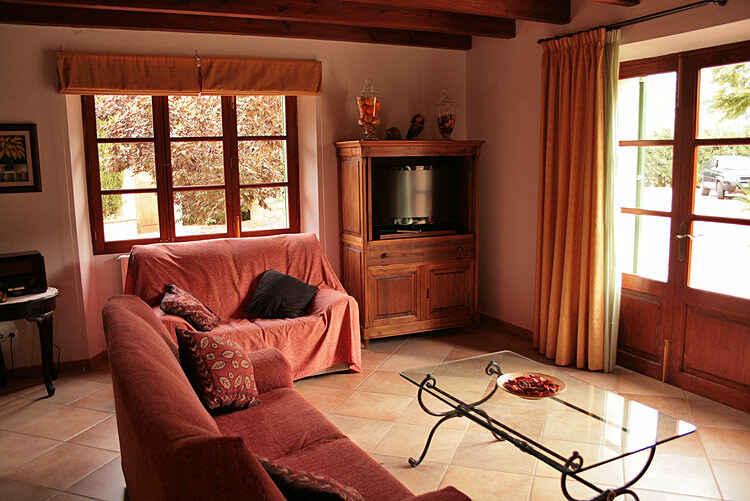 Downstairs is a fitted kitchen and the adjacent living room, as well as the entrada with a large open chimney. 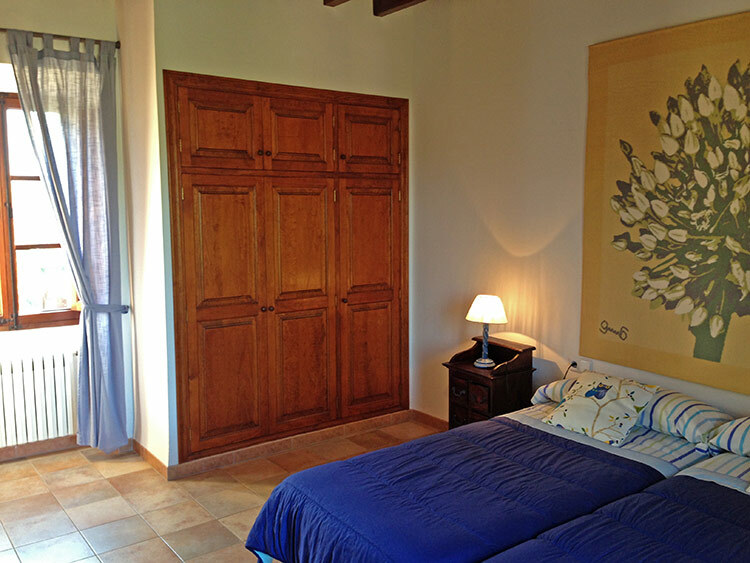 Stairs lead to the bedrooms, both of which have 2 single beds 90x200 cm. 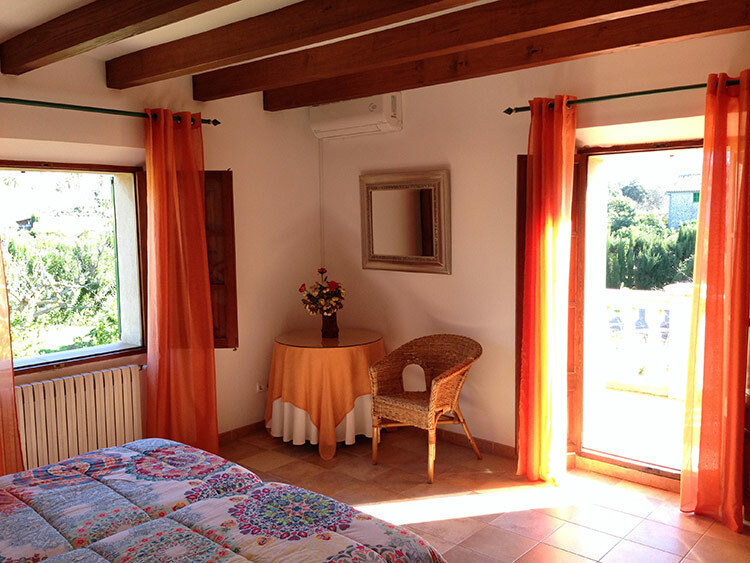 One of the bedrooms has Aircon and a balcony. 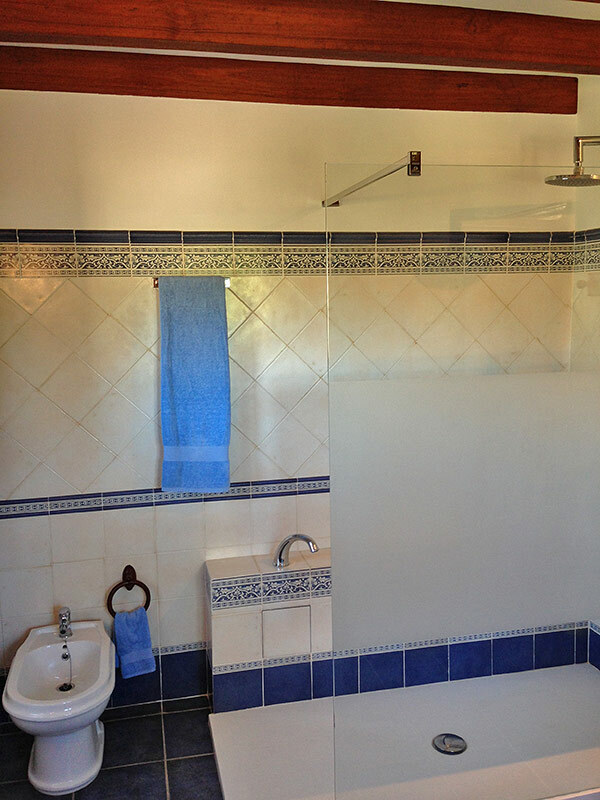 The house has a total of 2 bathrooms, one with shower and one with a tub. 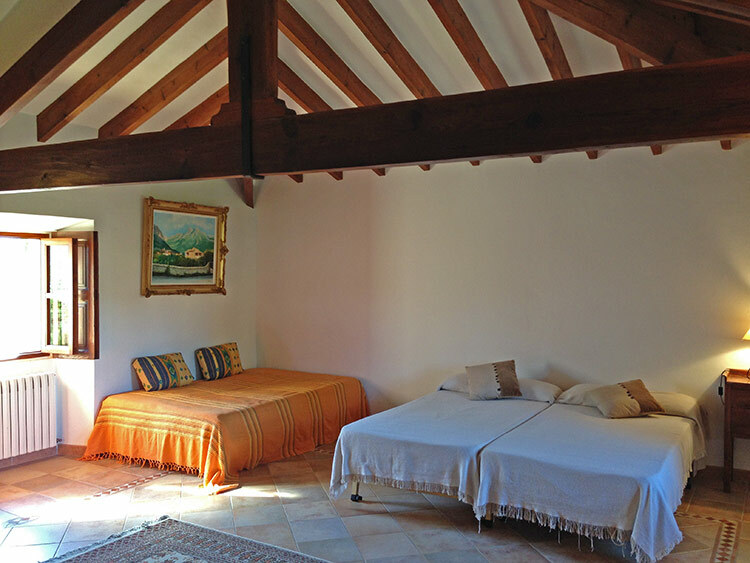 Under the roof there is a large open gallery-like room with 2 sofa-beds and a single bed, sleeping 2-3 children. 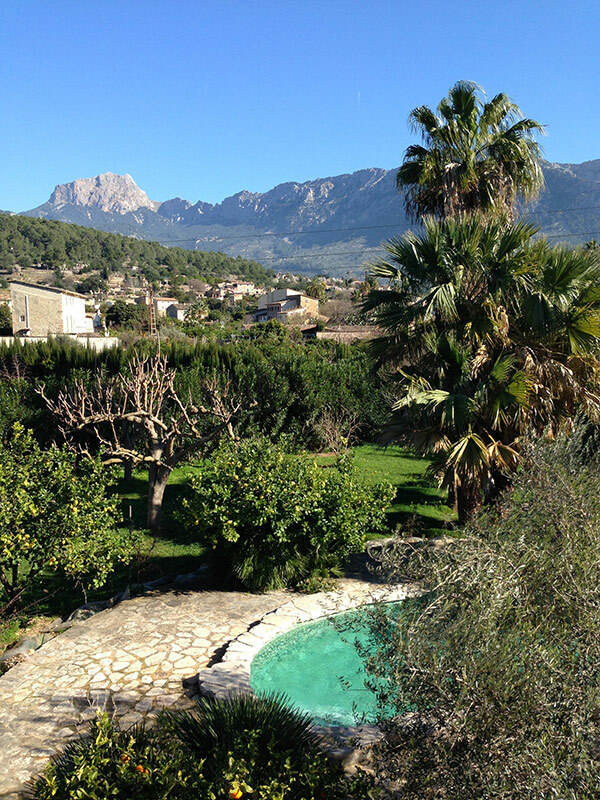 The many terraces have stunning mountain views in tranquil surroundings, a perfect setting for sunbathing and barbecueing (the barbecue is built in its own small house) with your privacy assured. 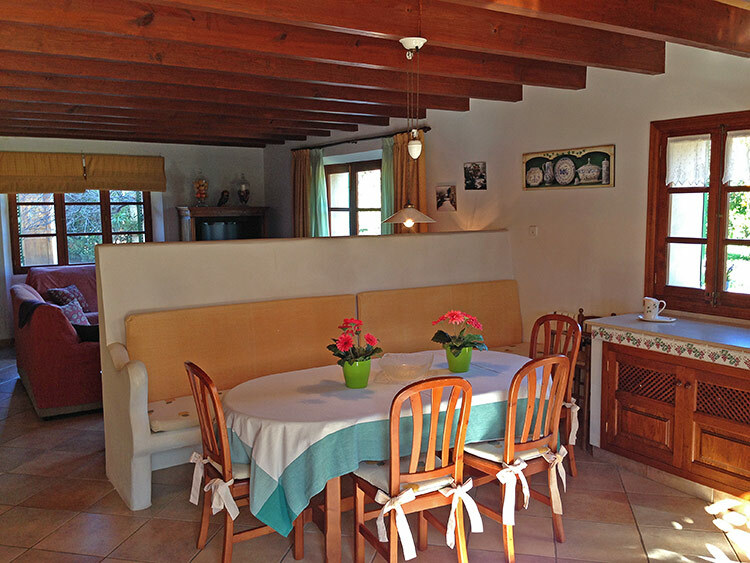 As one would expect, central heating, German Sat-TV with some English channels, CD/radio, washing machine, dishwasher, microwave and safe are all house benefits. 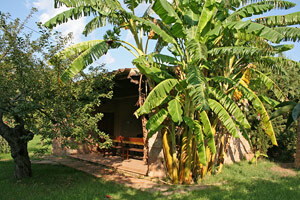 A very nice finca for 2 families with children or a group of friends. 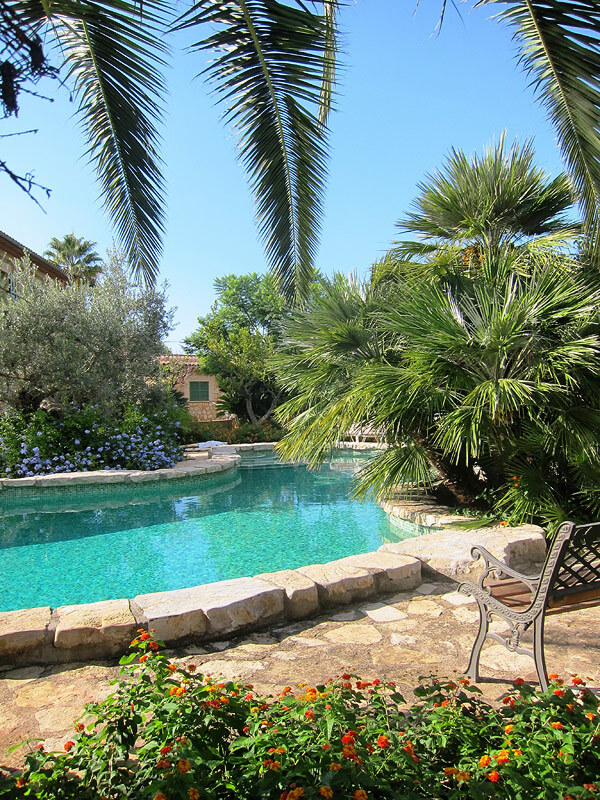 The outside area - garden and pool - are sensational and invite to stay home. 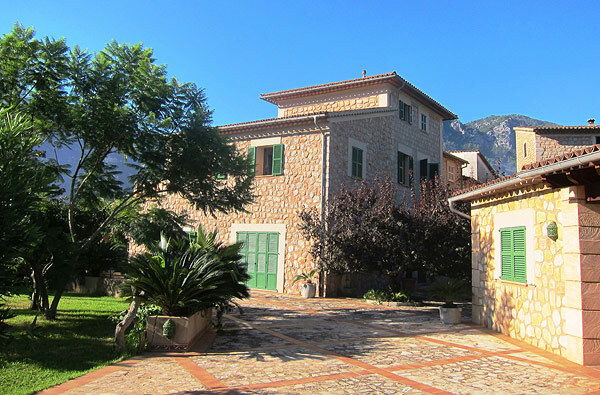 Sóller is at 10-15 minutes walking distance, to Port de Sóller and the beach you have to drive some 10 minutes. Central heating. Bookable throughout the entire year. 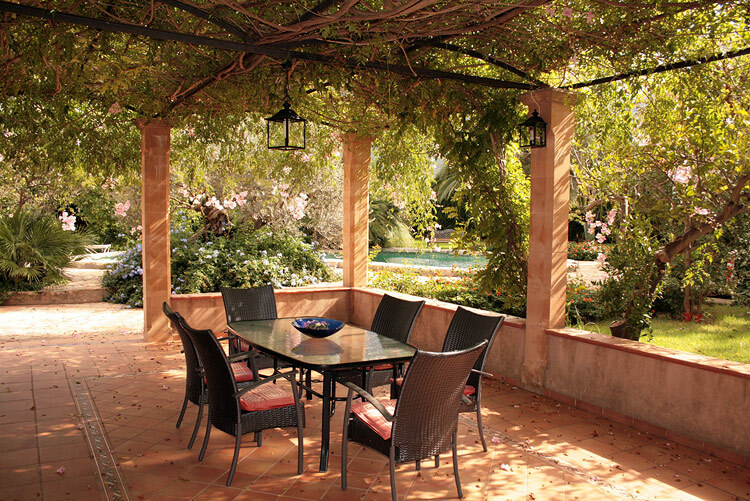 The terrace in front of the kitchen. The kitchen of the house is fully equipped. 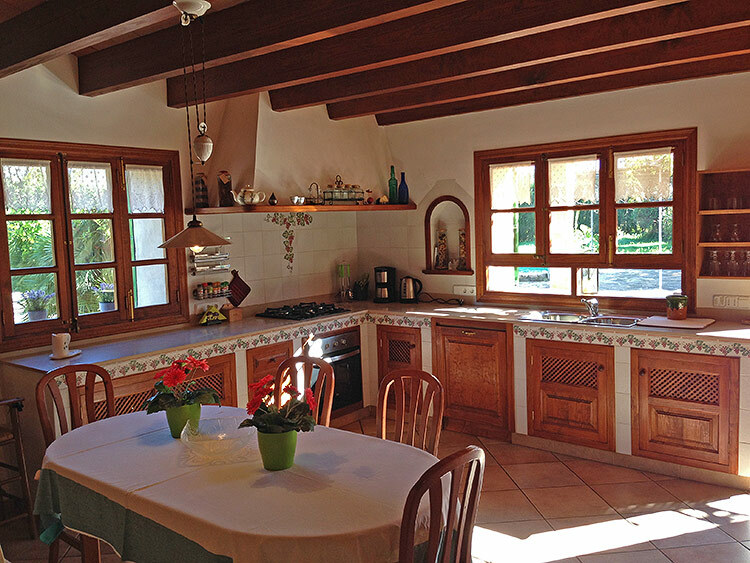 The dining area within the kitchen; in the background is the living room. 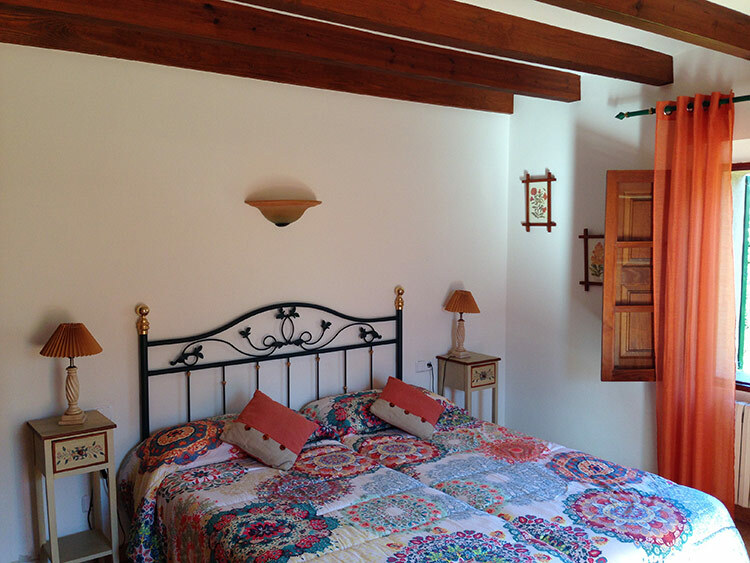 The large gallery under the roof with the convertible sofas and a single bed. 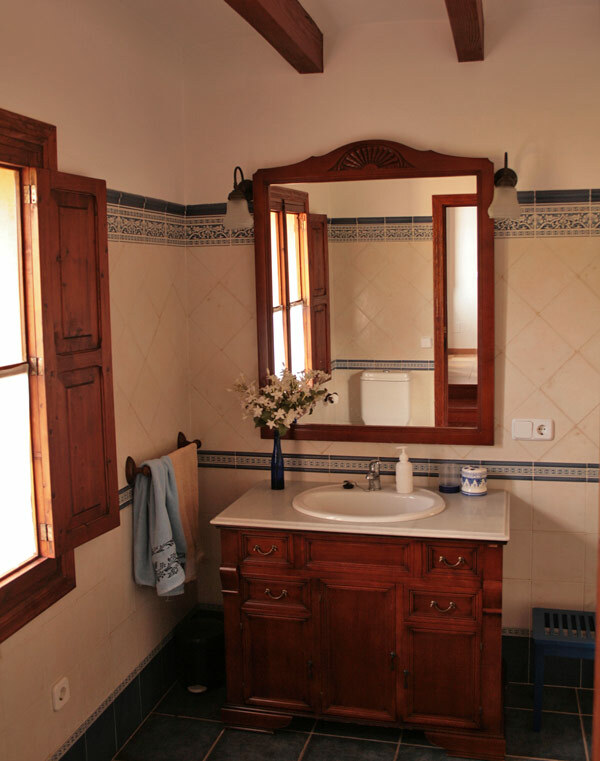 The second bathroom - built modern and in Majorcan style.